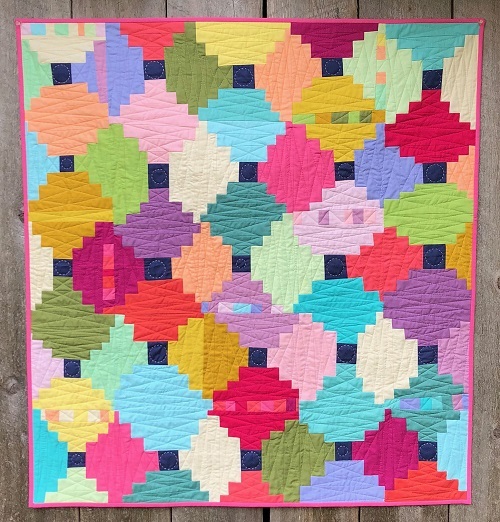 When Felicity discovered the online world of modern quilting and began her blog in 2010 (www.felicityquilts.com), her passion was kicked into overdrive where it’s been ever since. She’s a founding member of the Vancouver Modern Quilt Guild. 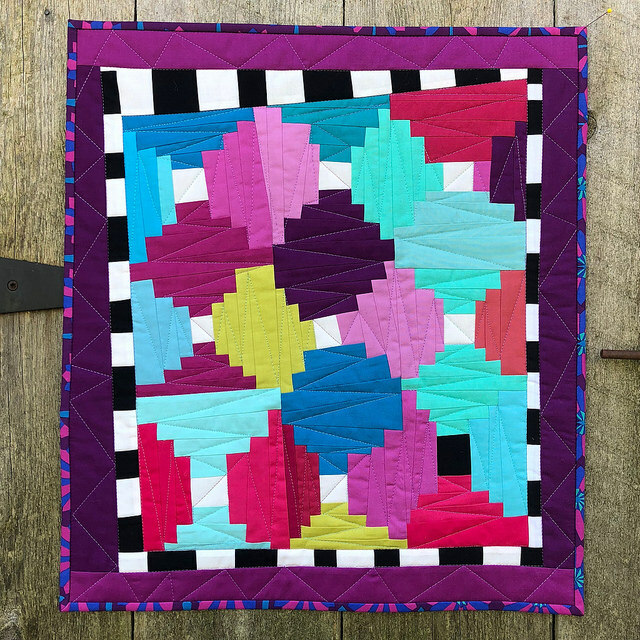 Felicity has been able to apply her professional experience in training and development to quilting – she has taught formal and informal workshops for VMQG, has done trunk shows, as well as created numerous tutorials for her blog. Felicity also enjoyed a two-year run as VMQG co-President and meeting chair. She currently works at her local quilt shop as a teacher, designer and sales associate. Felicity’s style tends to the modern and improvisational, but she is just as comfortable with traditional piecing and precise ¼” seams. Learn Felicity’s technique for making improv letters – you’ll create your own alphabet of wonky letters, both upper and lower case. Once you’ve mastered the basics of planning and piecing a wonky alphabet, you’ll be free to use the technique in any size to piece a word, a quote or an entire song into your project. Draw a letter with piecing in mind. Plan ahead for a letter’s final size. Cut (with or without rulers) and piece a letter. Increase the complexity of letters by pre-piecing components. Workshop signup starts at our March 19th meeting. Please note workshop fees are non refundable. You are responsible for finding a replacement unless we have a waitlist.